The Max and Moritz salt and pepper shakers, the butter dish and the stackable egg cups have made design history. 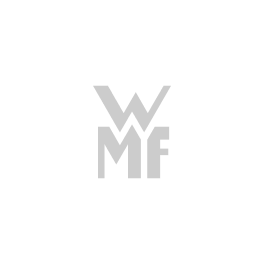 Prof. Wilhelm Wagenfeld developed them for WMF back in the 1950s, and they are still part of the range even today. Wagenfeld is considered a pioneer of modern industrial design. He was also the person who recognised and promoted the excellent material properties of Cromargan® for industrial series production. His philosophy of the usability of objects and the benefit for the user still determines the WMF product development process even today. • Design classics in the current range. • Made of Cromargan®: hard-wearing, easy to clean, hygienic.